Aristarco catering equipment can be found in professional kitchens across Europe. With over 60 years in the business, Aristarco is now regarded as an industry leader in the world of catering equipment, particularly in the field of dishwashers and glasswashers. A S Catering Supplies have a dedicated spare parts team ready to help you find the Aristarco spare part you require. Aristarco catering equipment can be found in professional kitchens across Europe. With over 60 years in the business, Aristarco is now regarded as an industry leader in the world of catering equipment, particularly in the field of dishwashers and glasswashers. 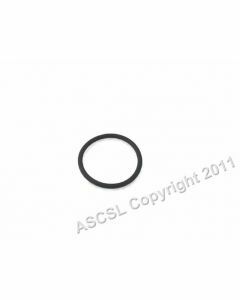 A S Catering Supplies have a dedicated spare parts team ready to help you find the Aristarco spare part you require. We have a number of spare parts available to purchase through our website but this list is not exhaustive so if you cannot find what you are looking for, or are in any doubt as to the suitability of a part for your machine then please call us and let the A S Catering Supplies team help you get the part you need to get your Aristarco equipment back up and running. A S Catering Supplies can provide spares for the full range of Aristarco machines with everything from the AH1400 pass through dishwasher, the AU65.65 pot-washer/utensil washer, the efficient AP50.35 under-counter machine and the TR1200 rack conveyor dishwasher to name but a few examples. A S Catering Supplies can also supply parts for Aristarco’s well proven bar equipment such as the Orion range of contact grills, the P-range ovens, and blenders and mixers such as the Star-1 and Mixer-2 units.